Joe Havel’s life journey sounds like a wartime movie plot where a local boy escapes oppression and makes a better life for himself in another country. But this story is true. Dr Havel had a non-Christian upbringing in Czechoslovakia, where the schools were either controlled by Nazis or by communists, neither of whom had any time for Christianity. As the war engulfed most of Europe, he observed that morals were regarded as relative. ‘Lying’, for example, ‘was seen as just an essential survival skill’, he says. 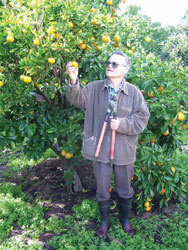 Joe exhibits one of his favourite mandarin trees, from which he also grows tangelos. Understanding how genetic information is stored and how it can be transferred forms the basis for Joe’s hobby of growing fruit trees—many with two types of fruit from the same tree (by grafting one onto the other). Hitler believed that what applied to animals should also apply to humans. For example, tens of thousands of disabled people were murdered because their survival was deemed not to be in the best interests of the nation. Although an agnostic at the time, Joe became so desperate that he cried out to God, ‘If you help me get out of here, I will believe in you.’ Joe struggled in continuing the story—remembering the hardships on the one hand, and yet God’s providence on the other. Joe applied to migrate to Canada, but the Canadians rejected him because they wanted skilled tradespersons and had no use for students. In Australia, Joe completed his high school education—the hard way. He studied by correspondence while working in a sawmill and a forestry gang in the magnificent and unique jarrah3 forests in the south-west of Western Australia. This area experiences searing heat in summer and near freezing conditions in winter. During those years, Christians whom Joe met impressed him with their consistent moral living. Two families befriended him and showed him lots of kindness. Joe found this perplexing because he could not find a material motive for their behaviour. After finding out it was the Bible that motivated them, he studied it and eventually became a Christian. In one of the families Joe met his future wife, Betty. Later, Joe entered university to study forestry. He says, ‘My newly found Christian faith nearly foundered when I heard evolution taught as a fact, not by a political regime, but by a supposedly impartial educational institution. 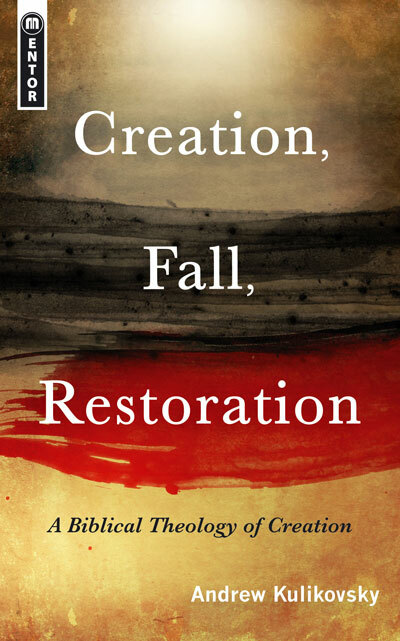 It made my simple faith seem outdated.’ Fortunately Joe heard a lecture by a senior Christian scientist on campus who argued convincingly that creation by design was more logical than evolution by chance. As his studies progressed he started to see more and more holes in the theory that flowering plants evolved. Hoop pines planted in 1957 dwarf Joe. Evolutionists regard hoop pines as ‘primitive’, but Dr Havel disagrees. Joe’s research and postgraduate studies strengthened his conviction that evolution impedes scientific progress. After graduating, he supervised the planting of hoop pine in New Guinea. At university he was taught that the hoop pine family, Araucariaceae, was a collection of primitive ‘living fossils’4 unable to compete with broadleaf trees (angiosperms). Yet hoop pine had, until quite recently, an extensive distribution from New South Wales through Queensland and Papua into New Guinea and even Iryan Jaya, and was the basis of the early timber industry. The related klinki pine was even more important in New Guinea, and Joe’s next job was to develop cultivation techniques for it. That research led to his master’s degree. He then studied the ecology of these species, particularly their ability to compete with hundreds of broadleaf tree associates. 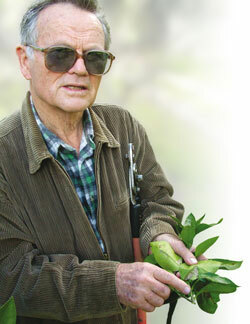 He published internationally on both the silviculture5 and the ecology of the Araucarias. Later in New Guinea, he became the founding principal of the forestry college and compiled an illustrated textbook of forest botany for Papua and New Guinea. It described 56 families and 160 tree species. Evolutionists regard many of these families and species as ‘primitive’, yet they are both ecologically and economically important today. During the preparation of the book, Joe discovered several previously undescribed species of trees. Joe later returned to Australia and changed the direction of his work, but pursued his interest in Araucariaceae, studying them on visits to Queensland, Indonesia, Malaysia, New Caledonia, Fiji, New Zealand, Brazil, Argentina and Chile. In a recent paper summarising these studies, he concluded that the reduction in range of the Araucariacae is not due to their inability to compete with flowering plants, because they co-exist well with hundreds of broadleaf tree species. The main long-term adverse influence has been the drying out of climate on continental scale and the associated increase in wildfires, to which most Araucariaceae are vulnerable. Such a climatic change would have followed Noah’s Flood. In the past two centuries, the major factor in the reduction of the area of these trees has been logging followed by conversion to agriculture, which has occurred widely in Australia, New Zealand, Chile and especially in southern Brazil, where millions of hectares of Araucaria forest have been destroyed. It is still occurring in Papua New Guinea, Indonesia, Philippines and in Malaysia. An example of Dr Havel’s mapping work in Western Australia. The exquisite detail can only be appreciated at full-scale reproduction (not possible here). In Australia, Joe’s research mainly involved the ecology and mapping of forest types in south-western Australia. 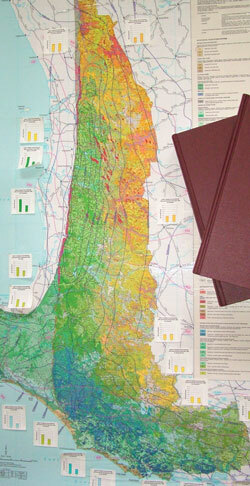 He pioneered the use of computers in analyzing large amounts of ecological data, and in comparing maps of vegetation, soil and topography to analyse their inter-relations. This was published both locally and internationally. Toward the end of his career in the public service, Joe got increasingly drawn into research administration, retiring as the Director of Research and Planning in the Department of Conservation and Land Management (CALM). That job included planning nature reserves, national parks and state forests—a hot topic today due to its environmental significance. After retirement, Joe returned to fieldwork as a consultant on environmental and forestry issues, advising government organizations on water catchment issues, and private companies on tree planting. He was also involved in reforestation research in Indonesia as part of Australian foreign aid programs, using his New Guinea experience of tropical forestry. His last major paid job was co-operative mapping of the entire south-western forests of Australia, as the basis for the conservation of old growth forests. He used this research to write a doctoral thesis, for which Murdoch University granted him a Ph.D. (at age 71). 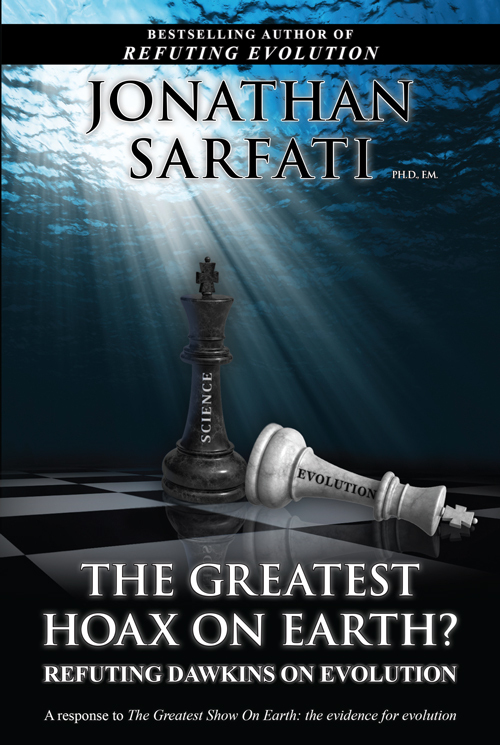 Evolution…has nothing to do with how the real world works. It is this tax-payer funded indoctrination that has led Joe to become more active against evolution, using every opportunity to put the case for creation. He fears that state education is heading to where education in central and eastern Europe was 60 to 70 years ago—devoid of freedom and balance, and lacking absolute moral values. Dr Havel’s pioneering work in plant ecology and taxonomy will also live on. He is well-known for his research in many countries. Those who know him will testify that Joe readily recognizes that his life’s journey and subsequent body of work are only due to the goodness of the One who made the very trees that he studies and Who gave us the capacity to understand. We can all praise God for that. Palgrave Macmillan, New York, 2004. 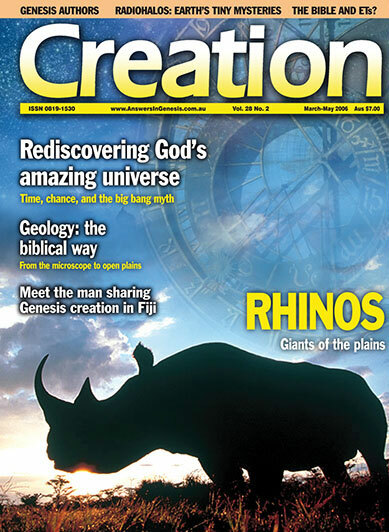 Reviewed in Creation 27(4):39, 2005. Return to text. An Australian colloquialism for the country or rural areas. Return to text. Jarrah, Eucalyptus marginata, (also known as Swan River mahogany) is the principal hardwood tree of the region. As it is resistant to termites, and it is extensively used in the furniture and building industries. Before the advent of bitumen, some famous roads in London and Berlin were paved with jarrah blocks. Return to text. The family Araucariaceae includes the Norfolk Island pine, hoop pine, Bunya pine, monkey puzzle tree, kauri, klinki, and the Wollemi pine, which has come into recent fame because of its extreme ‘living fossil’ status (see Creation 17(2):13, 1995; Creation 23(3):56, 2001). Return to text. Unlike the USA, Australia does not have a Bill of Rights that activist judges can misconstrue to effectively ban Christianity from government-funded schools. Return to text.